Xu Peidong (1954 -), born in Liaoning, dalian. Over the years, Xu Peidong created a large number of musical works, including opera, ballet "Military" will "," flower "," the film rockers TV drama "the fence, the woman and the dog" trilogy, "beauty", and "Zhou", "peace", "Yong Zheng Dynasty", "to the Republic", "my life", "May Sophorae Shannon" and more than 60 other audiovisual works. 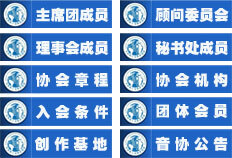 Songs representative works: "I love my homeland", "fifteen", "Sixteen round moon shadow of the fence", "love", and "Asian treasures", "can't live like this", "destiny", not a "hometown accent", "girl", "red", "for the sun", "old people", "love China", "Qing song", "I like the snow heaven", "earth song", "sunshine", "tage dance music", "heaven and earth", with "the scenery here is fine", "Chinese always Haruests hope" etc.. He won the seventy-first America Hollywood, Mauro Camoranesi international awards "world composer super star" award.